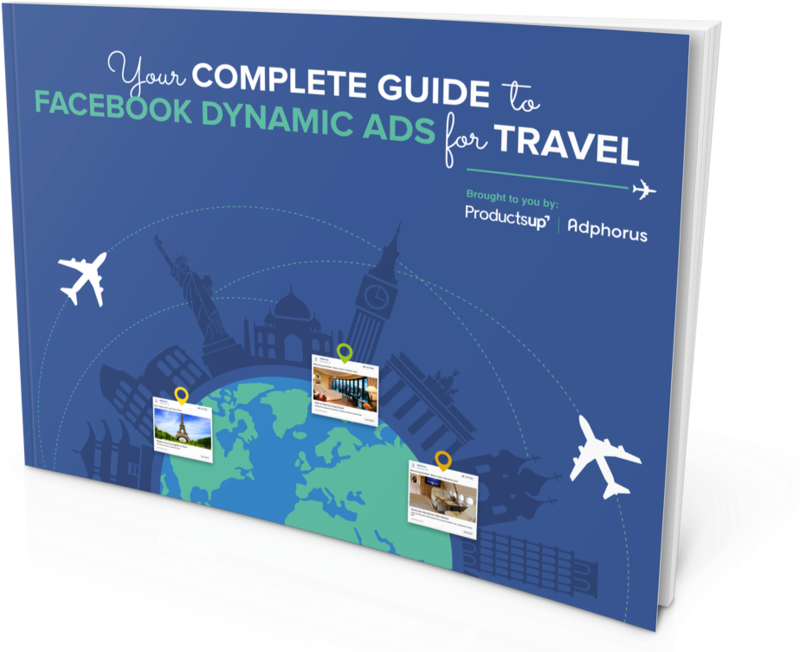 This guide covers everything you need to start running and optimizing a Facebook Dynamic Ads for Travel Campaign. Facebook Dynamic Ads for Travel provides a revolutionary way for travel brands to target travellers on Facebook and Instagram. It enables advertisers to automatically promote the most relevant offering based on a traveler’s individual interests and behaviors. DAT is the most effective way to dynamically retarget travelers with ads for destinations, flights, and hotels. At Adphorus, we see travel clients driving significantly greater results (in both quantity and quality) through more custom solutions like DAT. We have teamed up with Facebook Marketing Partner, Productsup, to give performance marketers in the travel industry a 360-degree understanding of Facebook’s “Dynamic Ads for Travel” with best practices for getting started. Please note that because this is a joint publication, the details you provide below will also be shared with Productsup.